During the last two decades, a tremendous growth in the popularity and applications of computers in manufacturing has occurred. Computer­ aided design, computer-aided manufacturing, flexible manufacturing systems, group technology and many others are considered by many manufacturing executives as the most promising technologies and philosophies that, if successfully implemented, can reduce costs and enable the US manufacturing companies to become more competitive in the global market. In the computer-integrated manufacturing environ­ ment, the decision processes are often more involved. The decision makers are frequently required to have access to a vast amount of data to support and analyze their complex decision problems at strategic and tactical levels. Decision support systems are often referred to as computer-based information technologies that allow the decision makers to interactively communicate and solve the decision problems. 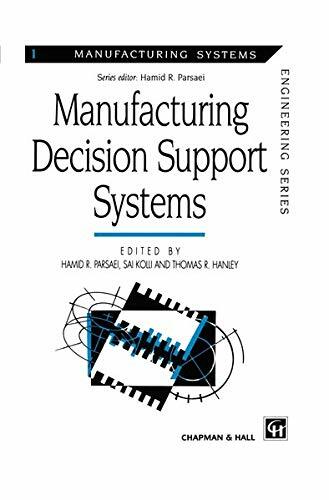 Manufacturing Decision Support Systems is intended to report the latest developments and address the central issues in this area. This volume consists of 14 refereed chapters, written by leading researchers from academia and industry.